Although both multi-objective optimization and agent technology gained a lot of interest during the last decade, many aspects of their functionality still remain open. 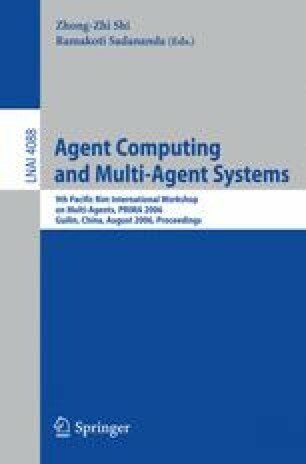 This paper proposes the multi-agent negotiation model applied in multi-objective optimization. There are three types of agents in the system. The plan agent plans the global best benefit; the action agent plans the best benefit of the single objective; and the resource agent manages the common resource. The agents compete and cooperate to reach the global best benefit through their negotiation. The model is applied in evolutionary multi-objective optimization to realize its parallel and distributed computation, and the experiment on MAGE shows the model is effective.